1. Machining of line cutting machine: according to the specification and shape of aluminum plate, the surface can be sprayed with oil, printing and engraving, suitable for the thickness of aluminum plate and high precision products. 2. Stamping production: press the stamping machine and product mould to press the aluminum sheet into shape.Then the semi-finished product spray oil, sandblasting, electroplating, high light (drawing), or polishing the plating, oil spraying processing.The surface effect can be determined according to the actual type and the content of the design. The stamping process is used to make high-gloss aluminum plate and surface polishing plate aluminum.Concave and convex effect: aluminum plate concave and convex making and stamping process are the same, but the working principle is in the opposite direction of concave and convex processing.It can be used for high gloss, printing, plating, spraying, etching and engraving. 3. Etching and oxidation: using the required thickness of aluminum plate, etching or oxidation can be required according to the process document.The color of the content can be painted or printed to achieve the color effect. The aluminum plate of the running water series can be finished by laser engraving. 4. 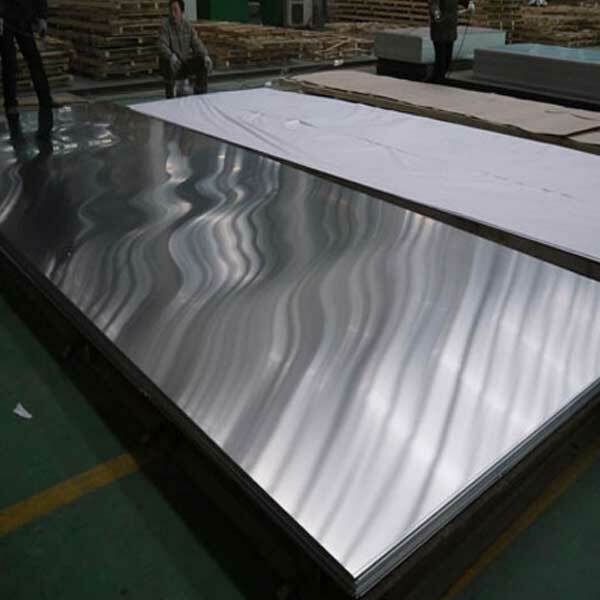 Reflective coating: that is, the reflective aluminum number plate will be used for the laminating of the reflecting film of the aluminum plate that has been cut or washed, and then the screen printing or painting treatment. 5. The printing production: aluminium plate with wider range of printing craft, whether it is flat, concave and convex, stamping, die-casting molding can use silk screen printing, four-color offset printing, thermal transfer, luminous, reflective printing, print color. 6. Aluminum alloy die-casting: using mechanical and die casting moulding, according to drawing documents, make all kinds of curved, tapered, three-dimensional, concave and convex shapes.The surface effect is full, delicate and beautiful, the blank is fine polished and the gloss is good, can be electroplated.The hollow parts can be filled with paint, drops of glue, and the letterpress is suitable for printing process. ← What are the Applications of Aluminum Circles in Kitchen Utensils?